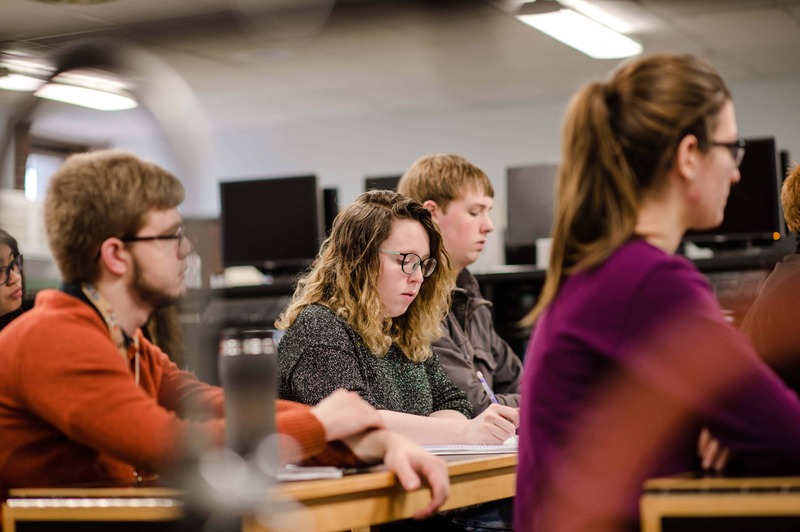 Did you know chemistry majors at Michigan Tech take a career planning course at the start of their sophomore year? Their Bachelors of Science degree, certified by the American Chemical Society (ACS), challenges students to reach beyond classroom chemistry theory and experimentation. Students work in advanced lab settings, preparing themselves for real-world applications of chemistry. 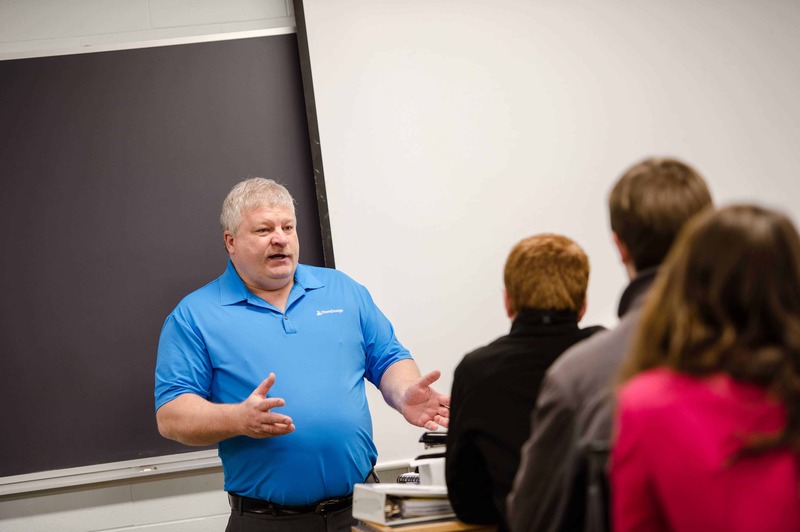 It’s the focus on early career exploration and understanding that led Brian Bourgeois, Human Resources and Employee Development Manager with ChemDesign, to talk with students on campus in Houghton, Michigan. His day began with a discussion about the career disciplines in chemistry, specifically how chemists’ roles in research, development and quality control differ. He shared three critical roles chemists are responsible for at ChemDesign. Research Chemists: These careers focus on planning, investigating, and performing highly specialized and complex scientific procedures and experiments. Research chemists work in laboratories, using their knowledge of reactions to investigate applications or other scientific innovations. Developmental Chemists: A chemist focused on development works closely with engineering and production teams. They are always looking at methods to improve efficiency, reduce waste, improve product quality, yield, and safety. Quality Control (QC) Chemists: This chemist performs specific analyses of samples, including raw materials, in-process samples and finished products according to established procedures. Their focus is on determining conformance to defined specifications. Administration and Business Development: After working in technical or scientific roles, a chemist may decide to move into a managerial role, which can include supervising other chemists, department managers or clients. They can continue their journey all the way to vice president or president. It’s important to point out that a solid background in chemistry is important for these managerial and leadership roles. After a discussion about careers and expectations, Brian interviewed ten finalists (from 92 applicants) for their summer chemical internship. A student with an undergraduate degree in chemistry who is currently pursuing his Master’s degree in chemical engineering received and accepted a job offer to join the ChemDesign team. He will work with the team for three months with the responsibility of assisting in technical drawings, fugitive emission calculations, and performing identifications. To find out more about the qualities ChemDesign looks for when reviewing applications for employment, we encourage you to review David Mielke’s presentation, Developing Your Career in the Specialty Chemicals Industry. This entry was posted in Blog and tagged American Chemical Society, chemistry degree, development chemists, Michigan Technological University, QC chemists, research chemists, speciality chemicals. Bookmark the permalink.